My new favorite tool is a kitchen scale. I always thought that a scale was foolish, that it was one of those unnecessary items like under eye concealer. But then. But then, around my 5th year of teaching high school students, I realized that not only is under-eye concealer necessary, but it is actually vital. Ditto on the kitchen scale! The scale is amazing, because it helps me measure ingredients with accuracy. It makes the mixing of baked goods go more quickly, it makes me feel confident that I’ve “measured” correctly, and it is slim, compact, and tucks right into any little corner of the kitchen, unlike the pasta boiling pot that I just had to have when we got married. Hello, wasted space. Ever since OXO sent me this scale, I’ve found myself seeking out recipes that use weight measurements, rather than volume measurements. Enter the cookbook section at my library, where I found a copy of Jim Lahey‘s My Pizza. 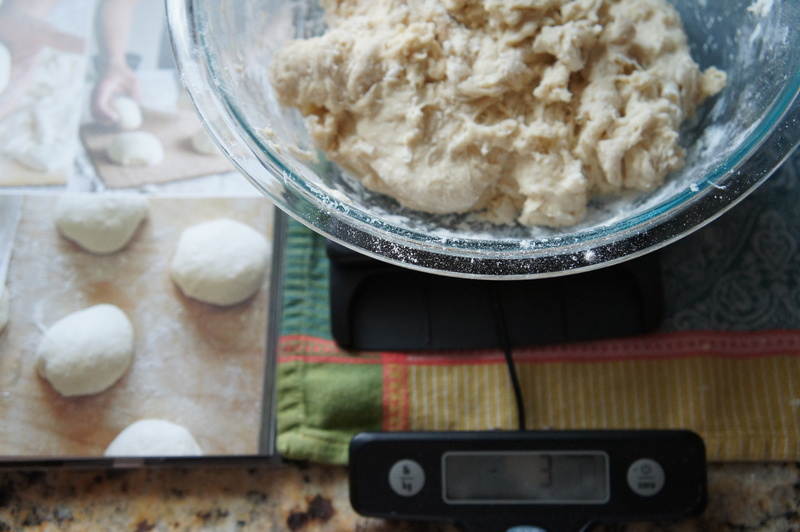 His no-knead pizza dough uses weight measurements, and it was the inaugural recipe I used with my kitchen scale. His book is gorgeous, filled with amazing photos, beautifully-worded recipes, and mouth-watering food on every single page. 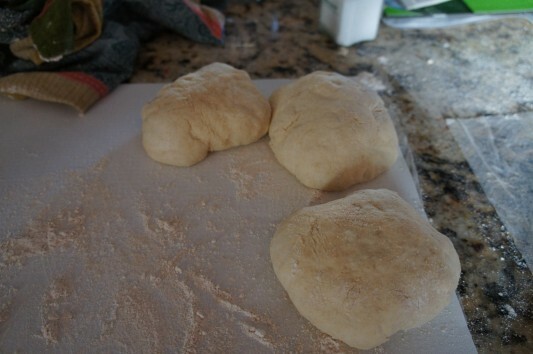 Today, I have his no-knead pizza dough recipe to share with you. But this blog post does not do his book (or his concept) justice. I’d encourage you to find a copy of his book at your library or bookstore! Thoroughly blend the flour, yeast, and salt in a medium bowl. Add water and mix thoroughly, using a wooden spoon. 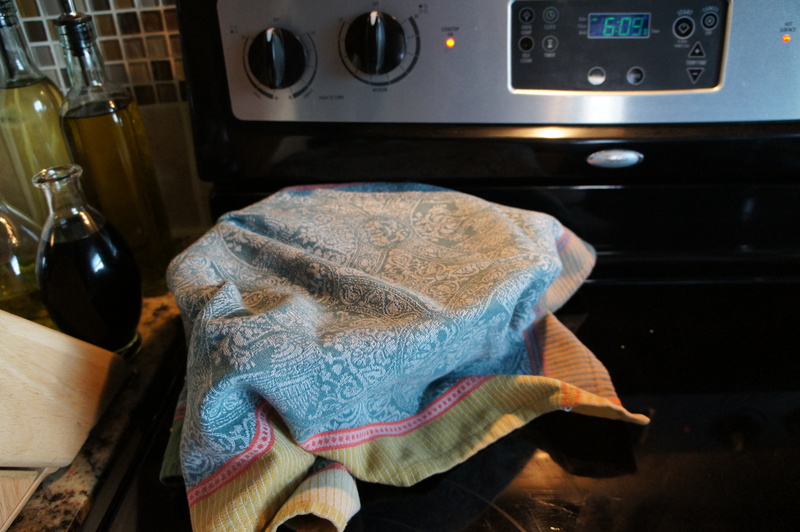 Cover the bowl with a damp kitchen towel and allow to rise at room temperature for at least 18 hours, until the dough has more than doubled. Flour a work surface and split the dough into 4 equal parts. Work with each portion of dough, pulling the right side of the dough toward the center, then do the same with the left, then the top, then the bottom. Form each portion into a ball of dough and place seam side down. Mold into a circular round. The rounds should not be sticky. Dust with flour, if they are still sticky to the touch. Cover with a damp towel until you are ready to work with each round. When you are ready to bake the dough, begin with one round. Stretch it out, gently, using your knuckles, until it is uniformly thin – but do not allow holes to form – with a thicker edge for the crust. Top each pizza crust with your choice of toppings. Heat broiler to 500 degrees and place a baking stone on a rack about 4 inches from the heating element. Heat the stone for 30 minutes, then remove, carefully (with oven mitts!) 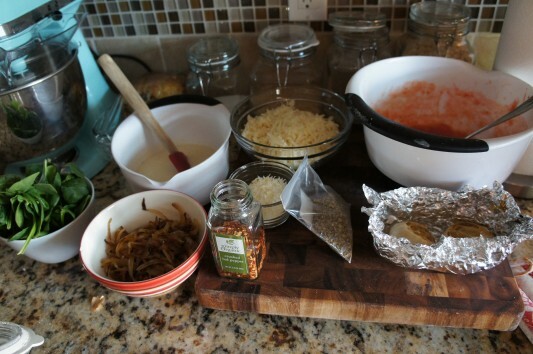 and use a pizza peel (or a really thin plastic cutting board) to carefully slide the prepared pizza on to the stone. Return to oven and broil for about 6 minutes, until crust is charred and blistered and the toppings are bubbling. Slide peel or board under the pizza and remove from oven. Allow to cool slightly and then slice. 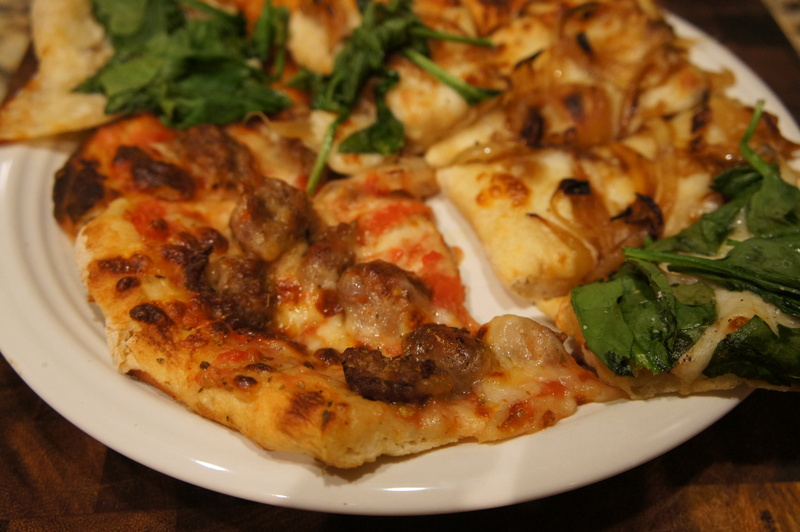 You can top these little pizza pies with any toppings you like. Get creative! We had four pizzas (each dough round creates one pizza), all with different toppings. Pizza One: Rosa Pie (a Lahey recipe), with tomato sauce, oregano, red pepper flakes, and sliced garlic. Pizza two: Bechamel sauce, caramelized onions, roasted garlic, mozzarella cheese, and parmesan cheese. 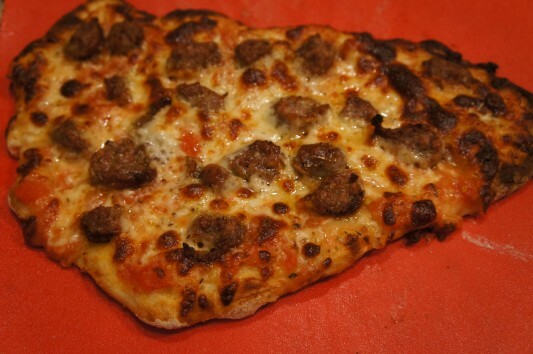 Pizza three: Marinara sauce, Italian sausage, and mozzarella cheese. Pizza four: Bechamel sauce, baby spinach, and parmesan cheese. Now, back to that scale! 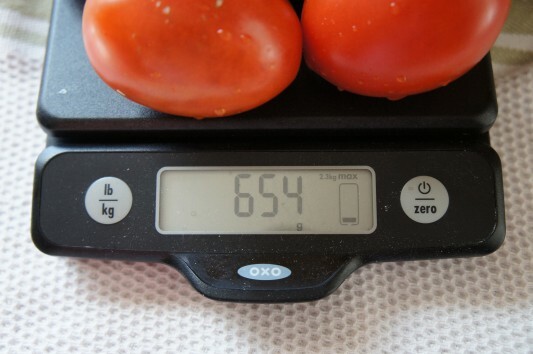 The good news is that today, I’m giving away an OXO Food Scale, identical to the one I use in my kitchen. You have until Sunday morning at 8 a.m. to enter the giveaway. Winner will be selected via a random number generator, and will be announced in Monday’s post. I’ll ship the scale e to the winner next week! Good luck, friends! Thanks to OXO for sponsoring this great giveaway! I am on the hunt for the world’s best pancakes and need a scale to make it perfect. We have a scale, but it’s not sensitive enough for the small ingredients that I use in pancakes. I would use it for bread baking. It is the most accurate way to measure the flour. Thanks for such an outstanding giveaway! I would stand on the scale, mark down what it said. Then I would stand on the scale holding a kumquat marking down that number. 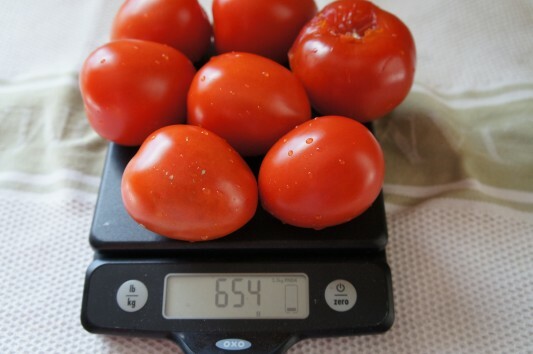 Then I would subtract the first number from the second number to figure out how much the kumquat weighed. My future is full of birthday cakes, bake sales, and Christmas cookies, it would help make me into a much better baker.